Description: Original cartridge box for the .303 Ross. 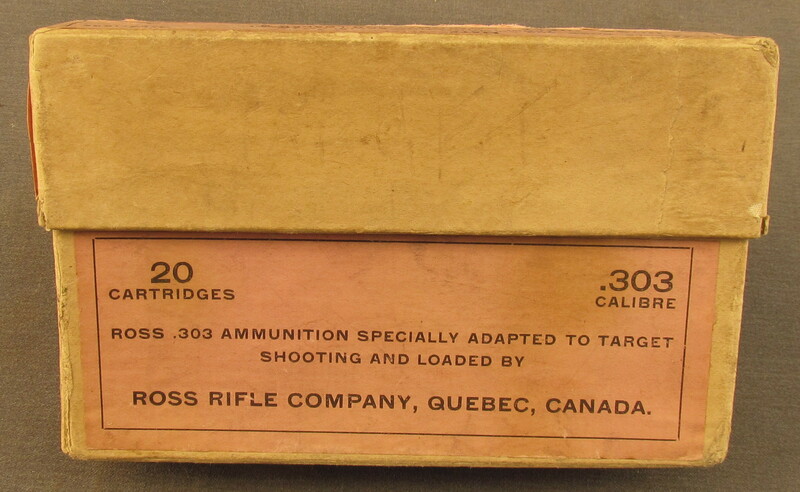 This is one of the earlier style of boxes built for the .303 Ross cartridge. For reference see page 212 of "The Ross Rifle Story" which shows this box. The box is complete with the front, top, back and both end labels. The color of the label is salmon with black lettering. This was part of lot of cartridges loaded especially for target shooting. See the date stamp on this box, June 1913. See the copy of the article in "The Canadian Journal of Arms Collecting Vol 7 No 2" page 63 by John Belton. 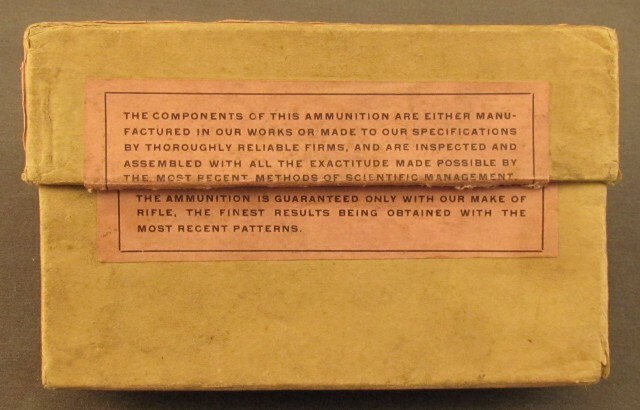 The box originally contained the .303 Ross 1913/15 needle nose match cartridges. This box was, without question, part of a lot loaded for the 1913 Palma matches at Camp Perry on Sept 14, 1913. Note the spelling of Canada on the top label. A very scarce box for the Ross or the Canadian cartridge collector. A piece in above average condition.